If you're in search of a casual yet stylish outfit, pair a black tweed jacket with blue jeans. Both items are totally comfy and will look fabulous paired together. Look at how well this ensemble goes with Christian Louboutin raissa bow pump. If you're scouting for a casual yet totally stylish outfit, choose a white and red horizontal striped long sleeve t-shirt and a white tulle full skirt. Both items are totally comfy and will look fabulous together. And if you want to instantly bump up the style of your look with one piece, add Christian Louboutin raissa bow pump to the equation. This pairing of a red long sleeve blouse and a red leather mini skirt is so easy to do and so comfortable to wear as well! And if you want to instantly up the style of your look with one piece, add red satin pumps to the equation. If you're looking for a casual yet totally stylish ensemble, make a white dress shirt and light blue jeans your outfit choice. Both items are totally comfy and will look fabulous paired together. 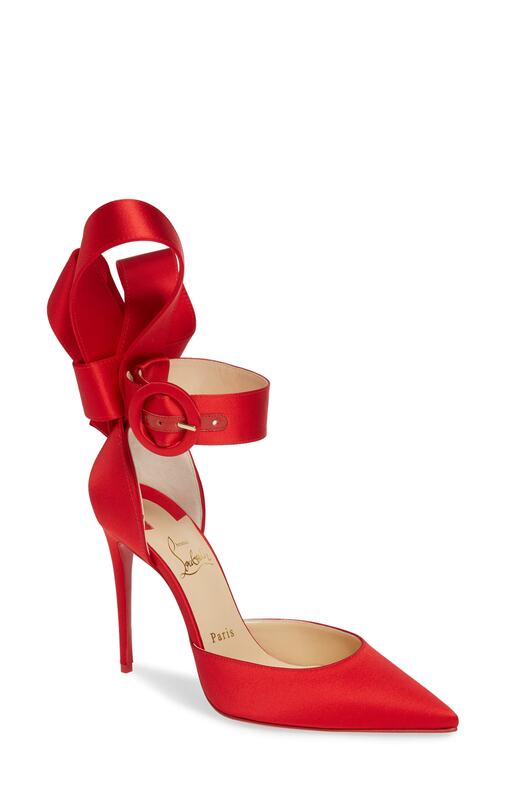 When it comes to shoes, this getup is round off nicely with Christian Louboutin raissa bow pump. If you're hunting for a casual yet totally chic getup, wear a red lace crew-neck t-shirt with a navy floral midi skirt. Both pieces are totally comfy and will look fabulous together. A cool pair of red satin pumps is an easy way to upgrade your look. If it's comfort and practicality that you're looking for in an outfit, make a gold lace maxi dress your outfit choice. Kick up the cool of your outfit by wearing Christian Louboutin raissa bow pump from Nordstrom.